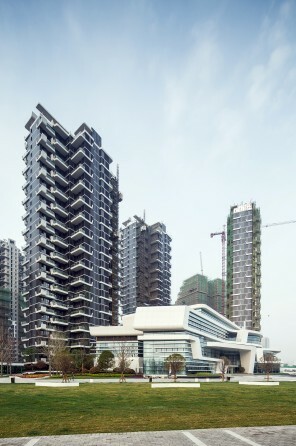 The project is at the intersection of Jinshui Dong Road and Dongfeng Qu, located in the sub-center of Eastern Zhengzhou New District CBD. 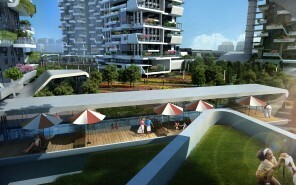 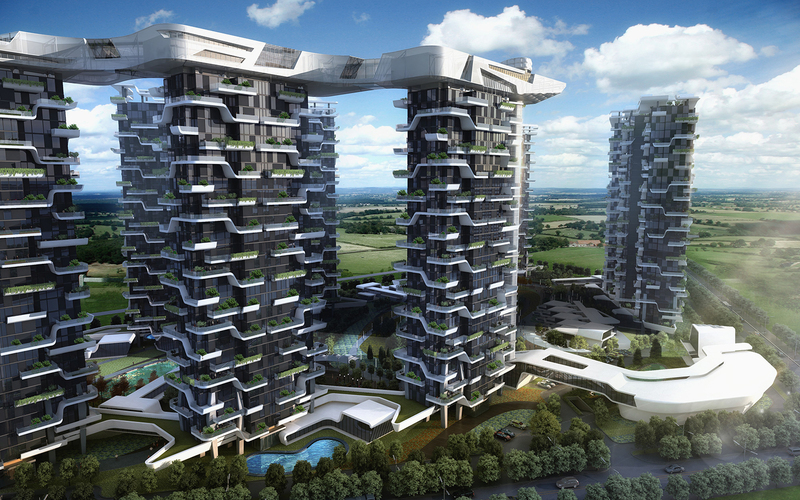 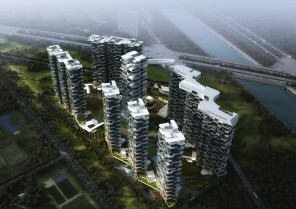 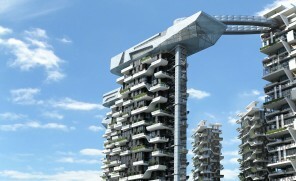 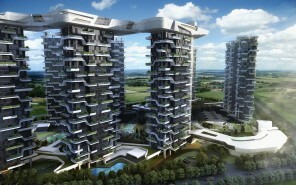 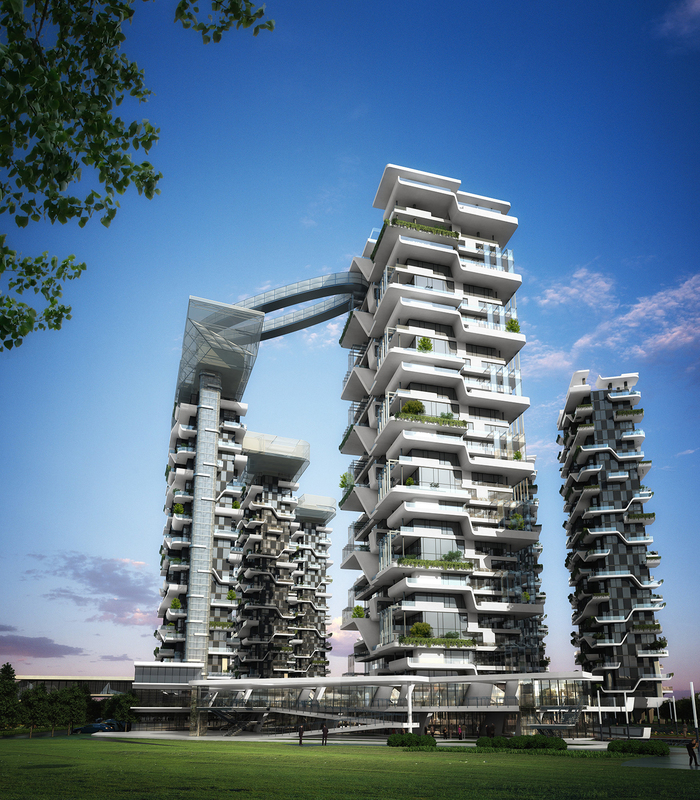 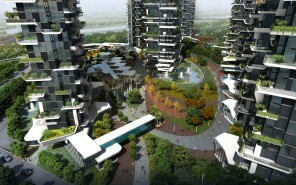 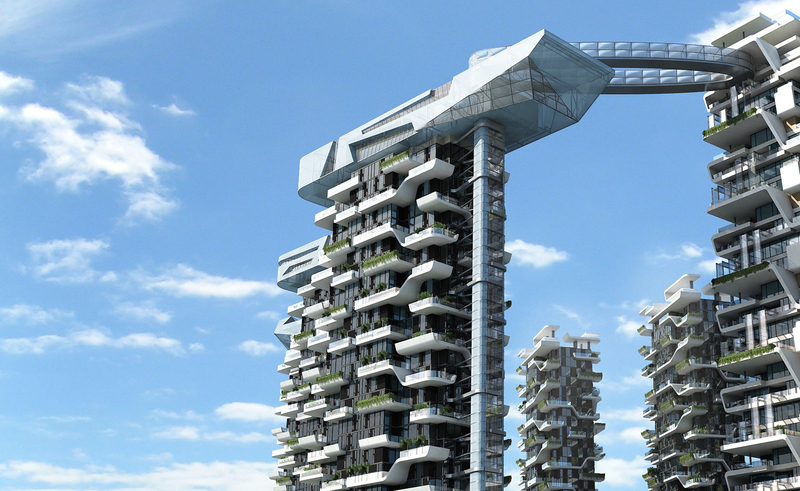 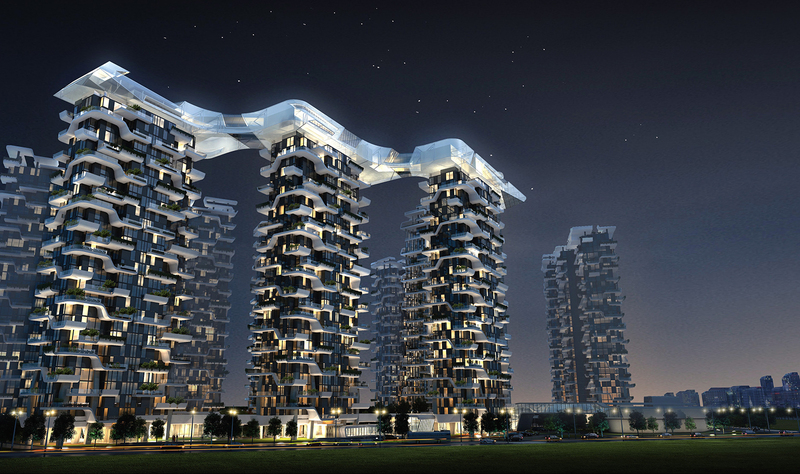 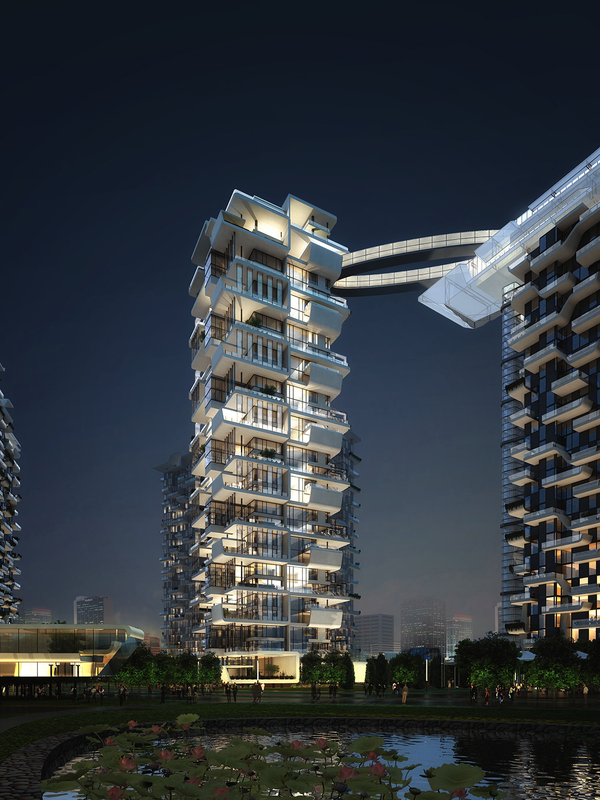 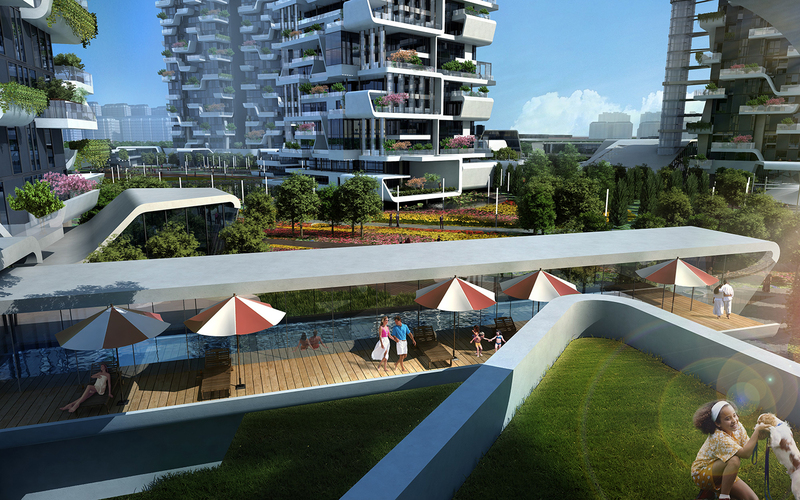 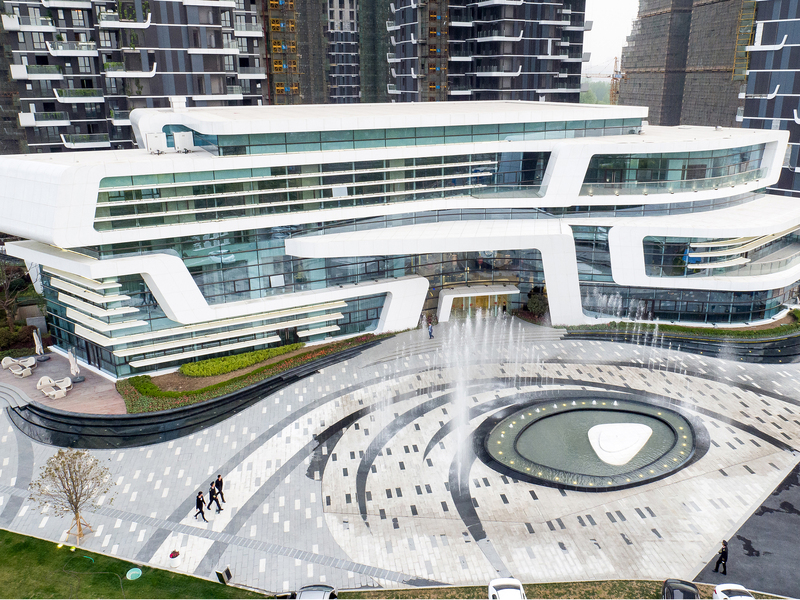 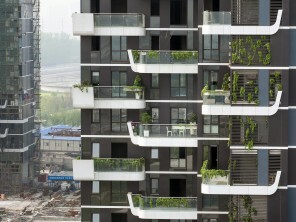 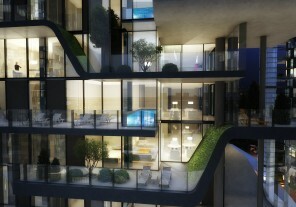 It consists of nine high-rise residential towers and three living facility buildings enclosing the central garden. 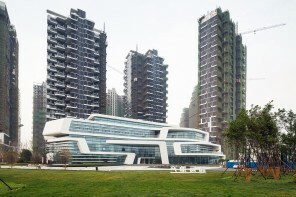 These facility buildings include a public club house, a supporting facility building and a nine-classroom kindergarten. The project is positioned as a high-end residential community, targeted to be the signature project of this kind in the area. 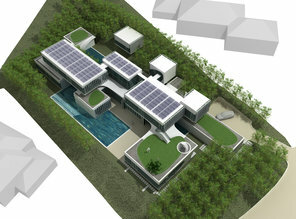 Therefore, the planning and architectural design features are focused on creating a unique and luxurious environment to attract an exclusive clientele. 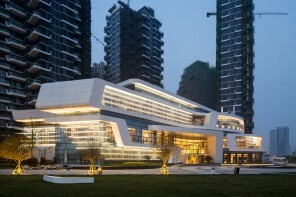 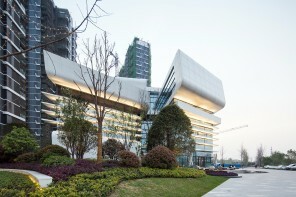 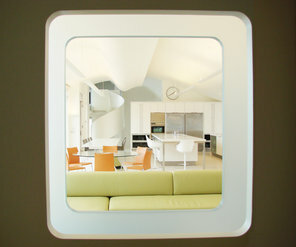 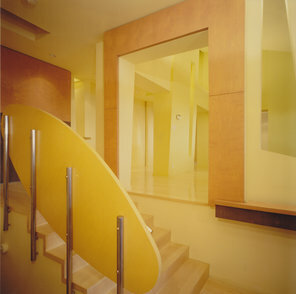 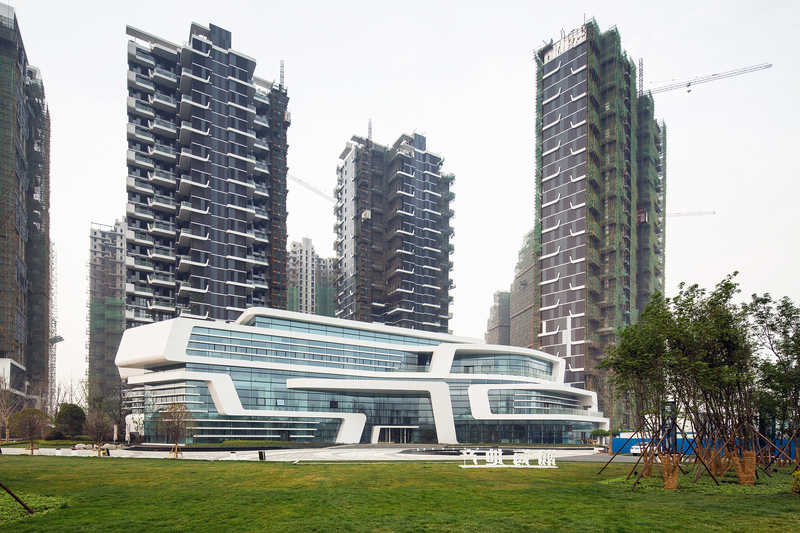 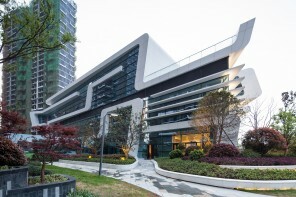 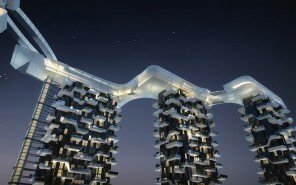 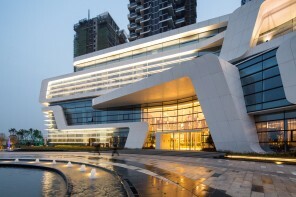 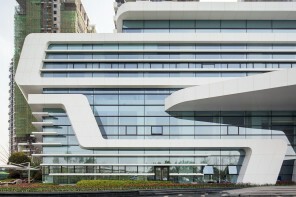 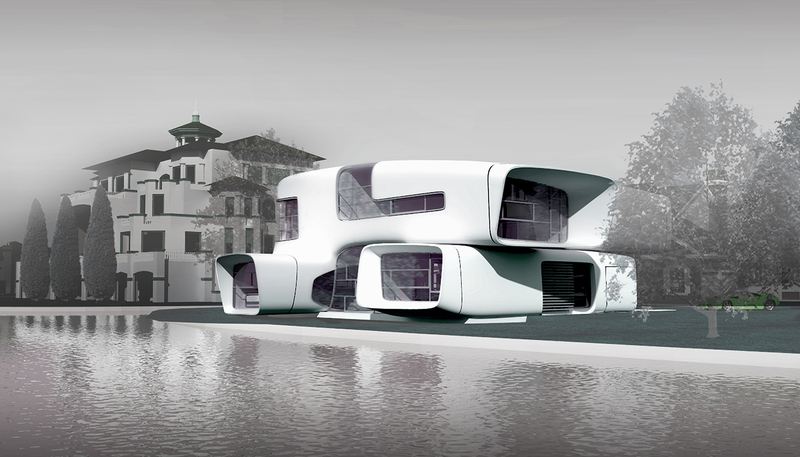 The design draws inspiration from the concept of the “cloud”. 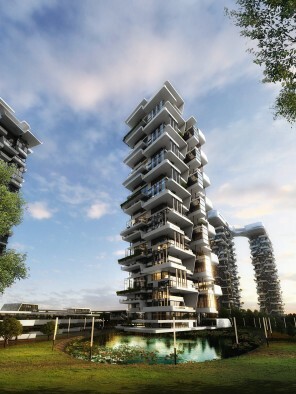 During the pre-planning stage, we committed to creating an all-intelligent “cloud” community combined with advanced technology to redefine the emerging lifestyle of the internet age. 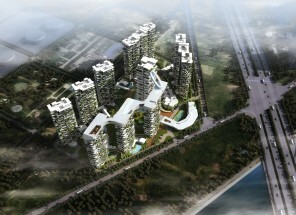 Meanwhile, the design team also extends the concept of the "cloud" to the architectural design. 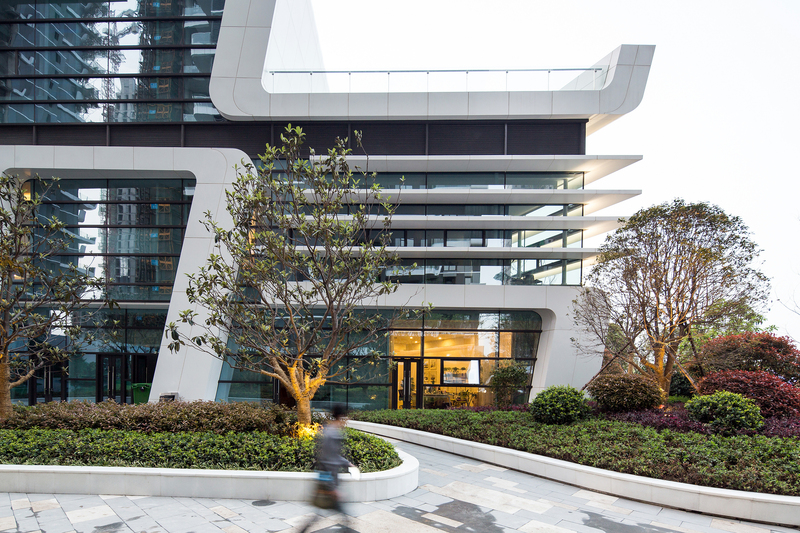 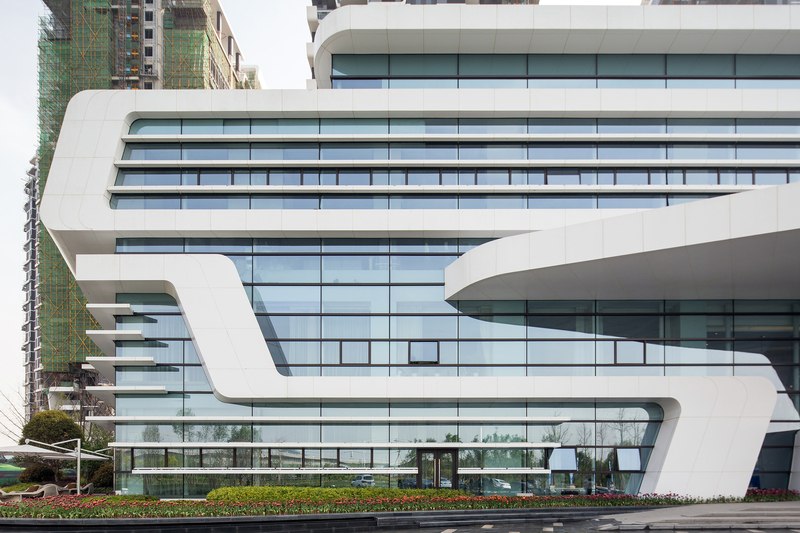 The building facade design uses large areas of dark glass that stand in sharp contrast with the sleek white terraces and balconies, highlighting a spirit of dynamic lightness for the overhangs visually. 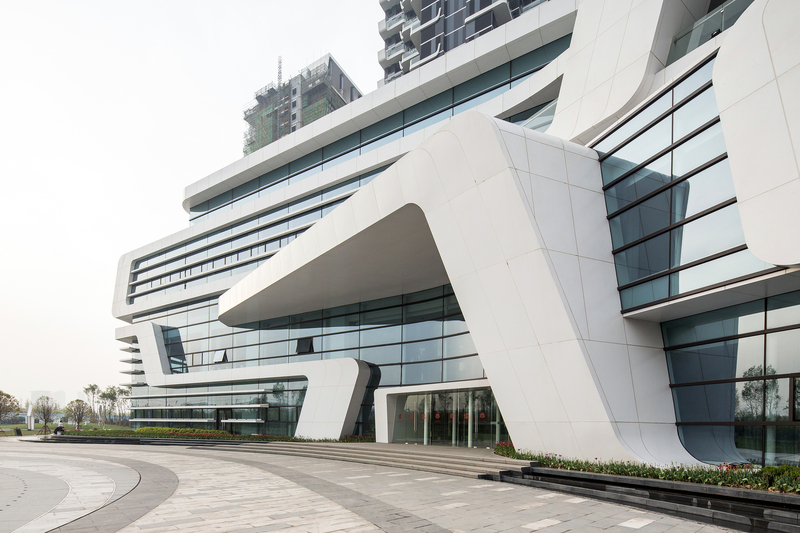 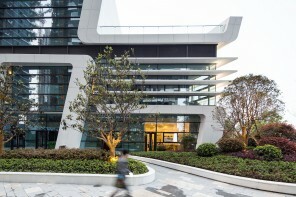 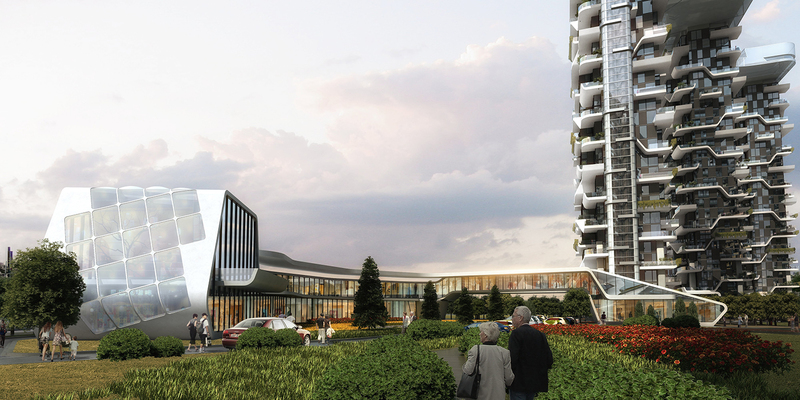 The tower building’s design features are extended to the design of the three facility buildings, which also emphasize organic shapes and sleek lines. The residential units have been designed for privacy and comfort with ample opportunity for cross ventilation and multiple spaces with good solar exposure. 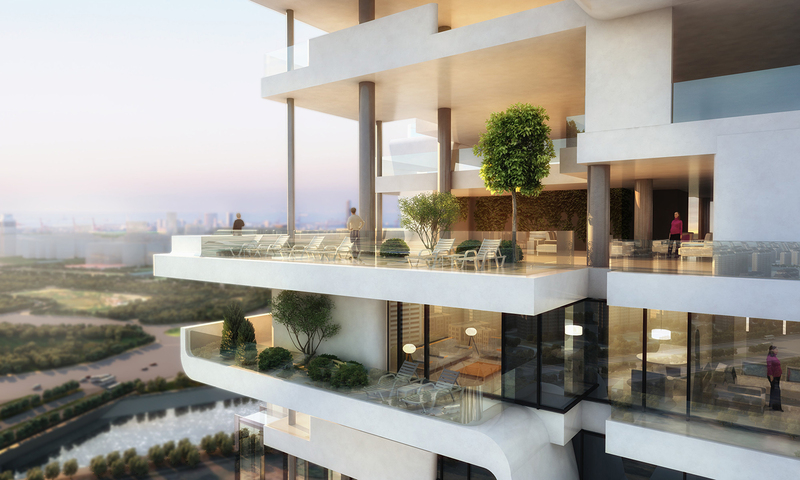 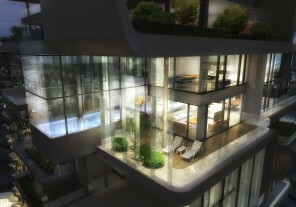 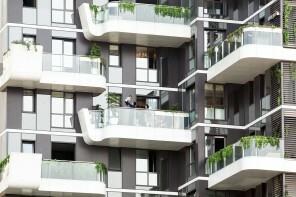 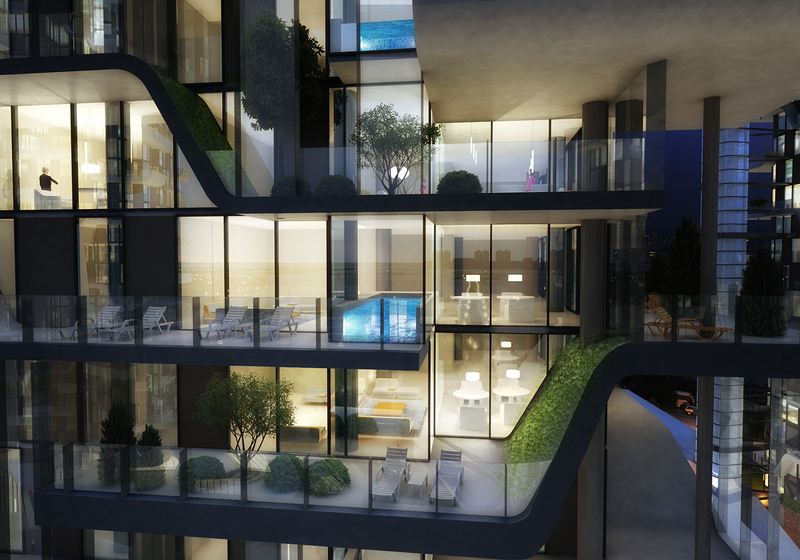 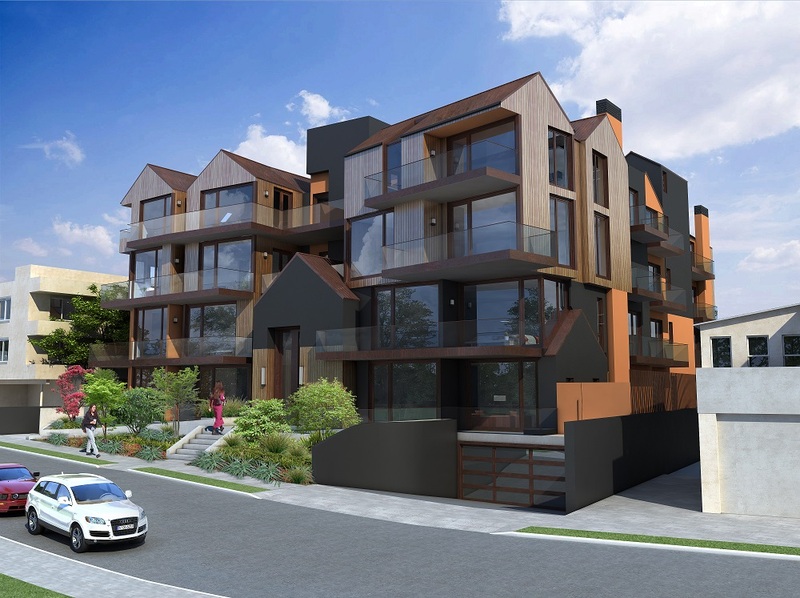 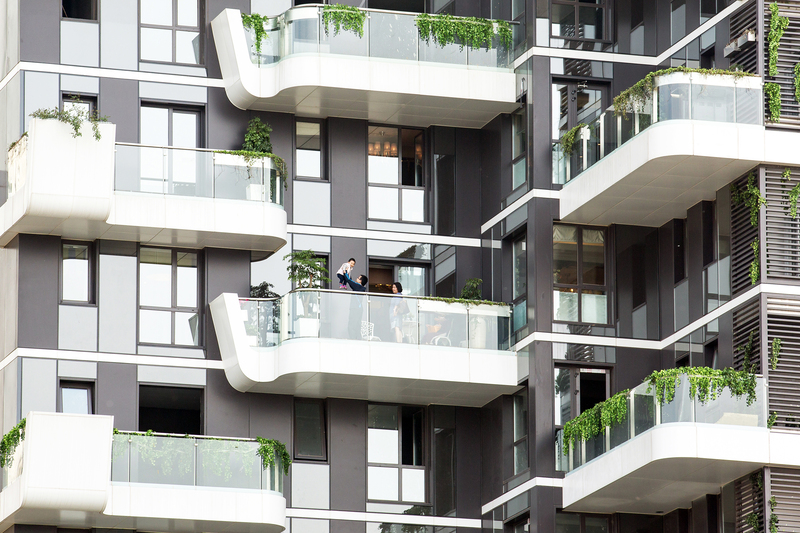 The large private terraces and small balconies bring the natural environment to each unit, and the terraces allow each unit to expand the living spaces into the outdoors through the use of large sections of operable glass walls. This strong connection to the outdoors and landscape help meet the goal of providing each residence with the feeling of a garden villa in the sky. 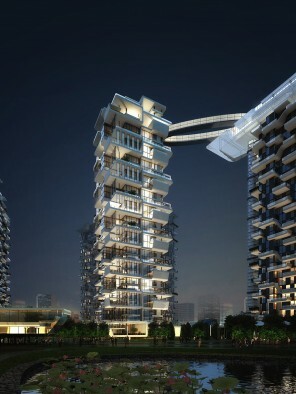 Special features for the larger unit types differentiate the project with other ones of its kind and include double height living spaces, double master suites, western and Chinese kitchens, en-suite bathrooms, and terrace swimming pools.